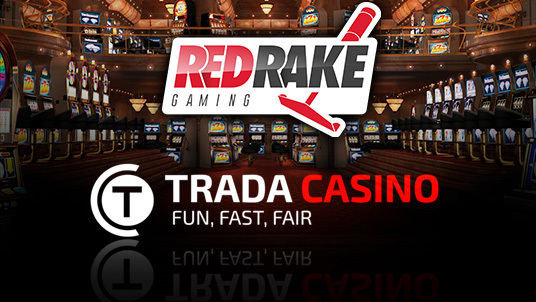 Red Rake Gaming are delighted to have partnered with the highly successful TradaCasino team who will be the first to market with the Red Rake Gaming content in the UK market. TradaCasino, best known for offering its players with the best game content, fast payouts, great bonuses and a secure gaming experience boasted by its myriad of accreditations from review sites, now joins the long list of Red Rake Gaming partners. As part of this agreement, all the top titles from Red Rake Gaming’s innovative portfolio will be available to TradaCasino players, including Mystic Mirror, Viva Las Vegas, and the Asp of Cleopatra - all of which are proven to be firm favourites amongst Red Rake Gaming’s network. Red Rake Gaming are constantly pushing the boundaries when it comes to game development, and have produced an exciting blend of exclusive content that takes into account market trends, demographics, mathematics, player personality as well as operator analysis. Red Rake Gaming offer an engaging and interactive slots experience that is perfect for the smart phone and tablet computing generation. Nick Barr, Managing Director of Red Rake Gaming in Malta, said: "We are thrilled to have partnered with TradaCasino, I have watched TradaCasino grow over the years going from strength to strength to become a firm favourite for UK casino players. This partnership is our first of many planned launches into the UK market and we are very confident that our games will be as well received as we have experienced in other markets."